Provenance: the artist's estate; private collection. 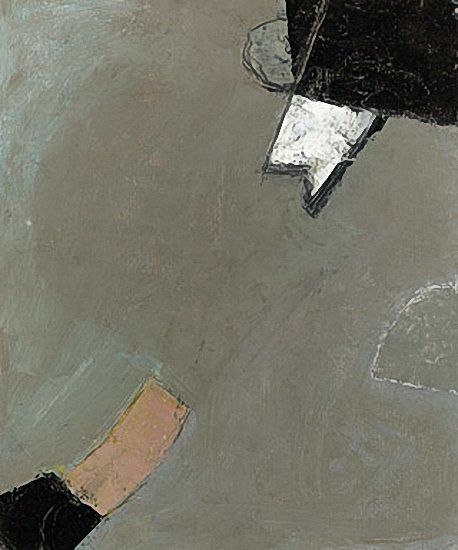 From the late 1950s Canney's style began to change under the prevailing influence of Abstract Expressionism. His semi figurative style gave way to works of pure abstraction. In 1958 he met the painter Mark Rothko: 'A man of great presence and charm, he was very generous about my work and spent some time looking at it. This was very encouraging as I regarded Rothko as the most important painter on the international scene at the time' - Michael Canney, 1958 (quoted in Michael Canney, Belgave Gallery catalogue, 1990, p. 6).